Have You Cleaned Up Your Failures Lately? Nobody likes a failure but it’s amazing how many don’t get cleaned up! I’m referring to email failures. When a mass mail is sent Lasso attempts to send to all the email addresses in the list or group. Some of these email addresses fail . . . it’s inevitable. But the key is to minimize these failures. After you send out a mass email through Lasso, the Mass Mail Details report will show all the email failures. I encourage you to review this list and take action! Not only will cleaning up your database help with deliver-ability, it could help you re-engage with prospects. By reducing some of these failures, your mass mail reporting statistics will be more meaningful as you go forward. Below is a list of example failure notifications and their explanations. Hard Bounce Email attempted. Registrant email address does not exist.Suggested Client Action: Contact Registrant to obtain new email address. Hard Bounce (Suppressed) Email address has hard bounced in the past and therefore is suppressed from future mass mails.Suggested Client Action: Contact Registrant to obtain new email address. Soft Bounce Email could not send due to an issue with the Registrant's email mailbox (e.g. mailbox is full).Suggested Client Action: If the email consistently soft bounces, contact Registrant and ask for an alternate email address. 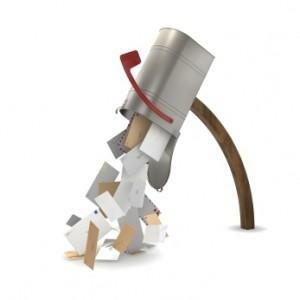 If the email has bounced more than 3 times, a good rule of thumb is to opt them out. Invalid Email Address Email address has syntax errors (e.g. angelam@@mylasso.com)Suggested Client Action: Correct error in Registrant email address. Email address has been opted-out Registrant has Opted-Out or unsubscribed from Mass Mail for this project. Registrants will not receive any mass emails for this project.Suggested Client Action: Contact Registrant to determine project interest level. Registrant should be removed from Custom list and/or Group. Registrant had no email address No email address in Lasso.Suggested Client Action: Contact Registrant to obtain email address. Adjust Custom List criteria for Mass Mails to exclude Registrants without an email address. Registrant has chosen not to receive email Contact preference in Lasso is No Contact or No Email across all Client ProjectsSuggested Client Action: Registrant should be removed from Mass Mail Custom List and/or Group. Technical Email cannot be delivered to the email address because of technical difficulties (e.g. Network error, or a Data format error). Note: in some cases, the email addresses have incorrect domain names (misspelled) or typos.Suggested Client Action: Update Registrant email address. Contact Registrant to confirm email. Block Mass Mail is being blocked because your domain name or IP address is on an ISP/Inbox Provider internal blacklist.Suggested Client Action: If email is a corporate address, follow-up with Registrant to request unblock, or ask for alternate email address. If email address is a large ISP (e.g. Hotmail, gmail, Yahoo, etc. ), try resending in smaller volume. A typical rule of thumb, the larger the list, the higher the chances of blocks. If issue persists, contact Lasso Support.